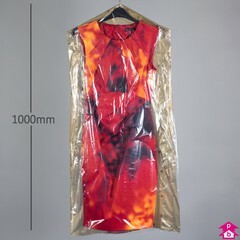 Polyroll of 40" long Perforated Garment Covers. 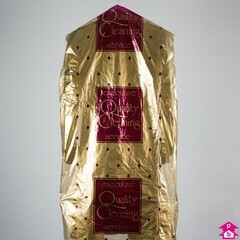 Printed 'Quality Cleaning' in Gold and Burgundy. 430 covers per roll.